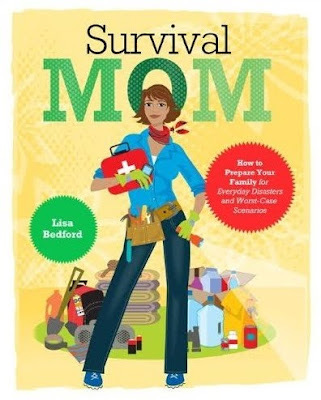 Rural Revolution: Welcome, Survival Mom! You may noticed that Lisa Bedford's new book, Survival Mom, is now listed with our advertisers. If there's one thing I absolutely love to do on this blog, it's to support people or businesses with incredible products. Lisa falls smack into the middle of that category. If you haven't seen Lisa's book yet, please get it! It's as wonderfully practical, funny, and realistic an outline on preparedness as you'll ever see. And if the book isn't enough for you, Lisa also runs an awesome website by the same name. I bought the book at your recommendation and are really enjoying it. I am a bit overwhelmed at the food I need to compile since we are bringing home children #10 and 11 from Ethiopia this year.